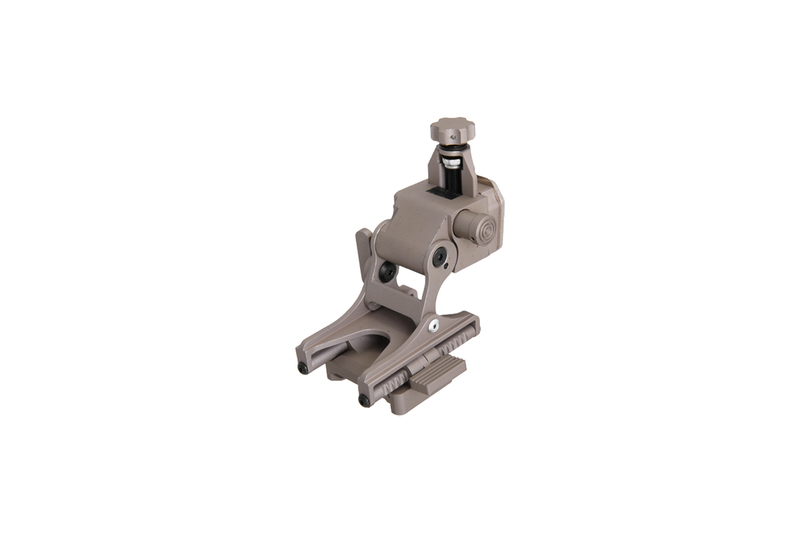 The Lancer Tactical Advanced Tactical Mount attaches to dummy nvg pvs15/18 (ca-863 series). It is compatible with most helmet shrouds and NVGs equipped with a dovetail shoe. It has a range of different adjustment options to insure proper eye position of a night vision device, including fore/aft, vertical, and tilt adjustments. Break-away feature can be engaged to prevent injury if the attached NVGs where to get caught on something. All controls can be reached and operated with just your support hand.